In the first part of this article we discussed the external evidence for Pauline authenticity of the Pastoral Epistles. What follows is a look at the internal evidence. The issue of the genuineness of the PE becomes even more complex as the focus shifts from the external evidence to the internal. There is no questioning the undeniable truth tha t the PE differ significantly from the other ten Pauline letters. As a result of these differences, many scholars have concluded that the PE must have been written pseudonymously. 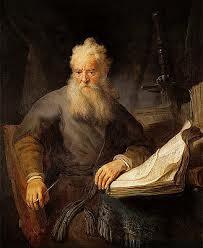 Moreover, it is pointed out that the writer must have been highly familiar with the teaching of Paul. “The writer. . . addresses the problems of his own day as one who has drunk deeply from the Pauline well.” While the arguments based on the apparent differences between the PE and the rest of the Pauline corpus appear scintillating, the content of the PE are better understood as genuinely Pauline. The following issues make up the primary areas of dispute. The first internal difficulty deals with reconciling the events mentioned in the pastorals with those recorded for us in the book of Acts. Some are not convinced that the events in the PE coincide with the accounts written in acts and therefore, submit that the writer must be manufacturing allusions that would give the impression of an historical setting. For example, 1Timothy depicts Paul on his way to Macedonia, while Timothy is back in Ephesus, and Paul is longing to return there to see his protégé (1 Tim. 1:3; 3:14). This seems to conflict with the picture in Acts 20 wherein Timothy meets Paul in Macedonia rather than remaining in Ephesus. Titus 1:5 indicates that Paul had spent time in Crete and left Titus there to continue the work of the ministry. 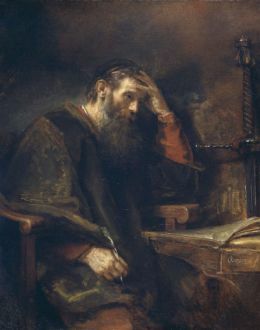 However, the only reference of Paul being in Crete is the brief comment found in Acts 27:7-13 and fails to imply any reference to ministry work. A final example is found in 2 Timothy 4:13 in which Paul requests a cloak left at the house of Carpus at Troas. In order for the request to be understandable it seems logical that Paul must have recently visited Troas. However, this is difficult to line up with the timeline given in Acts 20. Several insightful responses have been given to these objections. First, it is important to realize that the book of Acts was not meant to be an exhaustive description of the early church, highlighting every detail of the apostle’s journeys. We know fairly little of what Paul did during those years and there are huge gaps when other events could be squeezed in. For example, when did the events mentioned in 2 Cor.11:23-27 occur? Or what about the three years Paul spent in Ephesus recorded in Acts 20:31; none of Paul’s trips are recorded during that time. The second imprisonment theory offers credence to those who affirm Pauline authorship. This theory suggests that Paul experienced a second imprisonment after the one mentioned in Acts 28. This means that Paul was released from his imprisonment spoken of in Acts 28, served for a few more years and eventually was imprisoned a second time in which he was soon martyred. This theory can be attested by the fact that the book of Acts seems to indicate reason for Paul’s release. Furthermore, 1 Clement 5:7 reports that Paul journeyed “to the outer limits of the west” (i.e. Spain), which would only happen after Acts 28, and numerous patristic sources mention Paul’s release from Roman imprisonment. While it cannot be made certain, it seems more favorable to fit the PE within the timeline of Acts rather than apart from it. “Many scholars believe that the understanding of church life that is presupposed in these letters could not have appeared during Paul’s lifetime. Specifically, they see a strongly organized church with an ordained ministry.” For example, Banks maintains that the undisputed letters contain a reoccurring theme of famil y imagery that is somewhat diminished in the pastorals. While the terms in the pastorals are generally similar to those in the other letters, the pastorals display a less dynamic view of the Christian community. Moreover, the authority of leadership has shifted from that of the community of believers to certain roles held by individual leaders within the church. The assumption is that the early church began as a charismatic Spirit-led body of believers. It was only much later that the church began to establish elders, deacons, and eventually bishops for the purpose of combating error within the church. While these points should be seriously considered, a few considerations warrant attention. First, it is important to recognize that Paul began establishing elders in churches as soon as his first missionary journey Second, when discussing the development of ordained ministry within the PE only 1 Timothy should be seriously considered. This is seen in the fact that 2 Timothy makes no mention of ordained ministry and Titus, only a small reference to the appointing and qualifications of elders. Finally, the reference to the overseers and deacons in Philippians 1:1 says just as much about ordained ministry as any of the PE do. A large amount of ink has been spilled over the linguistic problem found within the PE. Simply put, when contrasting the PE with the other Pauline epistles there arises a significant difference in language. The forerunner of this critique was P.N. Harrison and his work The Problem of the Pastorals. In his effort to critique Pauline authorship Harrison offers a massive amount of statistical data in support of his double contention that Paul did not write the PE and that the language reflects that of a second century author. Harrison’s presentation of the problem is fourfold: First, Harrison points out that one-hundred and seventy-five words found in the PE are found nowhere else in the New Testament (i.e. the Hapax Legomena). 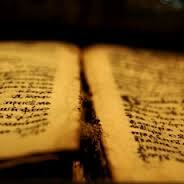 Second, there is the problem of the large number of words found in the PE and other New Testament writings but unknown to the other ten Pauline epistles. Third, stands the problem of characteristic Pauline words and groups of words missing from the PE. Finally, Harrison suggests several grammatical and stylistic differences. Harrison’s extensive work has convinced many that the PE could not be attributed to Paul. Harrison’s view carries some significant weaknesses however. That a significant amount of vocabulary is unique to the PE does not warrant non-Pauline authorship. It seems ludicrous to believe that Paul’s vocabulary was limited to only that which we find in the ten Pauline epistles. Moreover, Harrison’s claim that the language used in the PE fits more in line with second century literature is weak on the basis that most of the words shared by the pastorals and the second century writers are also found in writings prior to A.D. 50. Additionally, that some of the words are used with different meanings signifies that only the contexts are different, Paul also uses vocabulary with different meanings in the ten letters. In the final analysis it must be observed that although the statistical data provided by Harrison is impressive, it is unable to offer the reason as to why the differences exist. Too many variables are at stake; Paul is writing to individuals instead of churches, different topics are discussed, the context for writing is different, there could be a different amanuensis, and so forth. It is argued that some of the major Pauline themes such as the Holy Spirit, the cross, and flesh verses spirit are missing in the PE. The importance of this point comes from the idea that certain theological themes are so central to Paul’s thought and message that their omission calls Pauline authorship into question. In light of this argument some considerations should be made. First, Paul is not limited to what we might feel is his core theological themes. Moreover, these types of expressions, while not phrased in the same form as the Pauline epistles have them, often incorporate Pauline terms—perhaps used in a different way, but still Pauline. Secondly, the fact that Paul is writing to two individuals concerning specific historical circumstances speaks to the fact that it was not necessary to discuss basic theological topics. Finally, Mounce rightly observes that in the acknowledged Pauline epistles there may be theological themes common in one book but not in another. Some see an issue with certain Pauline terms being used differently within the PE. For example Banks understands Paul’s use of the word agape as the ethos within which members carry out all their communal responsibilities. However, according to Banks, in the PE agape has lost this significant meaning. It is argued that words such as faith and righteousness are severely un-Pauline. Faith for example is not seen as a gift from God but a “deposit to which nothing can be added,” and righteousness is a “virtue to be sought.” In response to these arguments one only need recognize that words carry semantic ranges. In other words, Paul’s theology was not so rigid that every time he used a certain theological term it always carried the same meaning. This can be attested for in the undisputed Pauline letters themselves. For example, when Paul tells the Roman church that their faith is proclaimed in all the world (Romans 1:8) it is not the gift that is proclaimed but the fact that they are Christians. Therefore, the argument that Pauline terms are used differently in the PE seems insignificant. The fact that the Holy Spirit is only mentioned three times in the PE is considerably significant to some. The problem involves the emphasis Paul gives to the Holy Spirit in his other letters; if so much emphasis is designated in the authentic Pauline letters, why not the PE? While the lack of reference to the Holy Spirit may be, at face value, unlike Paul, it should be noted that such references are not evenly spread over all Paul’s earlier epistles. In the case of Colossians and 2 Thessalonians the Holy Spirit is mentioned only once, and in Philemon not at all. Seeking to determine the genuineness of the PE may at times create just as many questions as it does answers. Nevertheless, there seems to be a sufficient amount of evidence to satisfy an affirmative conclusion concerning Paul as the author of the PE. The early church’ reception of Pauline authorship is well established under close examination of the external evidence. It may even be probable that P46 points to the validity of the PE rather than speak against them. The internal evidence sheds additional light to Pauline authorship. The difficulties of reconciling the events between Acts and the PE are troubling at first glance. However, the difficulties seem less atrocious when recognizing that Acts is not exhaustive and in light of the second imprisonment theory. Ordained ministry, undoubtedly adapted and fine-tuned in the second century, was by no means unfamiliar to the early church as seen in Philippians 1:1 and the reference in Acts 14. Harrison’s detailed observations on the seemingly problematic linguistic issues failed to satisfy careful scrutiny and any theological terms questioned in the pastorals neglect to take into account semantic domains. Altogether, it seems fitting to conclude that based on the external and internal evidence it is highly probable that Paul is the author of the PE. A.T. Robinson outlines a fine argument in favor of the events within the PE reconciling with those in Acts. See John A. T. Robertson. Redating the New Testament. (Philadelphia: Westminster Press, 1976), 67-85. Carson and Moo, Introduction, 564. For a helpful summary of Harrison’s points see Carson and Moo, Introduction, 555-558. Carson and Moo, Introduction, 556. Carson and Moo, Introduction, 565. In fact, Banks argues that a major understanding of Paul’s is the involvement of community, especially within church discipline and decision making. Thus, Banks questions whether the PE are genuinely Pauline because of the seeming neglect of communal responsibility and a shift to established roles in church leadership.